0 Comments Published by Cedric Benetti on Wednesday, December 2, 2009 at 12/02/2009 07:48:00 PM. 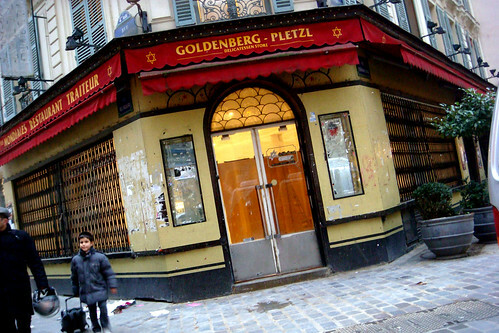 There has been some comotion going on inside the former Goldenberg Pletzl, icon of the Marais and Jewish institution. Though the food had gone down in quality long before the restaurant had to close down some years ago, people in the area were hoping to keep a restaurant alive on this spot, and not see it being converted into some hyperdesign concept store, thereby demolishing its heritage.